SALEM — A bill that would require Oregon schools to publish their immunization rates has reinvigorated what’s been a white-hot — and sometimes ugly — legislative debate over vaccine exemptions. Senate Bill 895‘s chief sponsor, Sen. Elizabeth Steiner Hayward, D-Beaverton, told The Oregonian/OregonLive she’s refusing to drop the issue — despite the intensely vocal opposition that doomed support for an earlier bill that would have done away with non-medical exemptions. In championing SB 895, already the subject of a testy hearing Thursday in front of the Senate’s education committee, Steiner Hayward says she wants to continue shining a light on the state’s worst-in-the-nation numbers of immunized children. 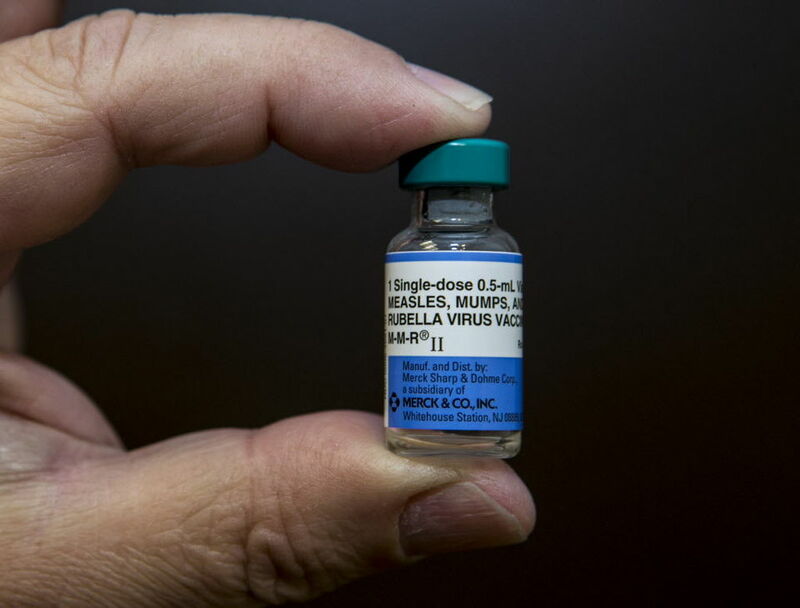 Oregon gives parents wide latitude when it comes to opting their children out of vaccinations, permitting an estimated 7 percent of Oregon kindergartners to go without immunizations. Steiner Hayward says she hopes sharing the information will encourage more families to seek immunizations. As currently amended, SB 895 would require schools and child-care facilities to post aggregate information about their vaccine exemption rates and to send that information to parents twice a year, potentially on report cards. The bill, as written, also would do away with a provision letting parents watch a video on the risks of opting out before choosing not to have their children immunized — leaving a documented note from a doctor or nurse practitioner as the only means of obtaining an exemption. Students who aren’t current on their vaccines and don’t obtain exemptions aren’t allowed to attend schools or day-care facilities. Eliminating the video is especially concerning for opponents of SB 895, many of whom opposed SB 442 because they saw it as an affront to parental choice or because they don’t accept findings that show vaccines are safe and effective. They see the change as another barrier. Steiner Hayward said she would consider dropping the amendment if it helped SB 895 secure more votes. She also said she’s considering amending the bill so schools break out exemptions for each disease. That way, she said, parents could see how rates for non-communicable diseases such as tetanus compare to rates for potentially lethal ailments such as measles. But for many foes, even the requirement to share exemption rates — already publicly available through health authorities — is a step too far. Attorney Bob Snee, director of Oregonians for Medical Freedom, argued in an interview that the requirement sets the stage for a “social bullying atmosphere.” Snee also said the reporting requirement could potentially violate medical privacy rules in smaller child-care facilities and school districts. Steiner Hayward said having tough and frank discussions about science is part of the idea. She said she was struck by hearing a friend who’s a teacher tell how fifth-graders said they wished they had been vaccinated because they were scared of getting sick. Her push to end exemptions began this winter after headlines erupted over measles outbreaks in more than a dozen states. The fate of SB 895 remains unclear. It’s headed for a second hearing in the Senate’s education committee, owing to the dozens who showed up to testify. Some of her colleagues are already rooting for it to fail. Steiner-Hayward said she hasn’t begun counting votes given that she’s still refining the bill to win support. But she wasn’t charitable when looking back at her vote-counting on SB 442. Some senators, such as Kruse, invoked concerns over parental rights while others simply shied away from taking a controversial vote on a subject so personal.